This is suitable for 1 adult. 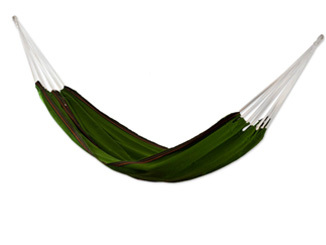 The Hammocks are made using Cotton Fabric and Cotton Ropes. Light weight and can be used almost everywhere. It is easy to pack, install and use. The hammock takes shape of one’s body with a cocoon effect, making you feel very cozy and Fabric feels very comfortable. Hammock comes in a coordinated hang bag.